How about your experience in the garden and flower beds? I can usually count on these plants/trees/bushes to perform well. Japanese Beatles doing their damage. Shasta daisy was outstanding last year but not so much this year. Powdery mildew on the brilliant white phlox.. Ferns on the northern exposure look green and healthy in the spring but as summer continues, even with ample water, they turn brown and ugly. 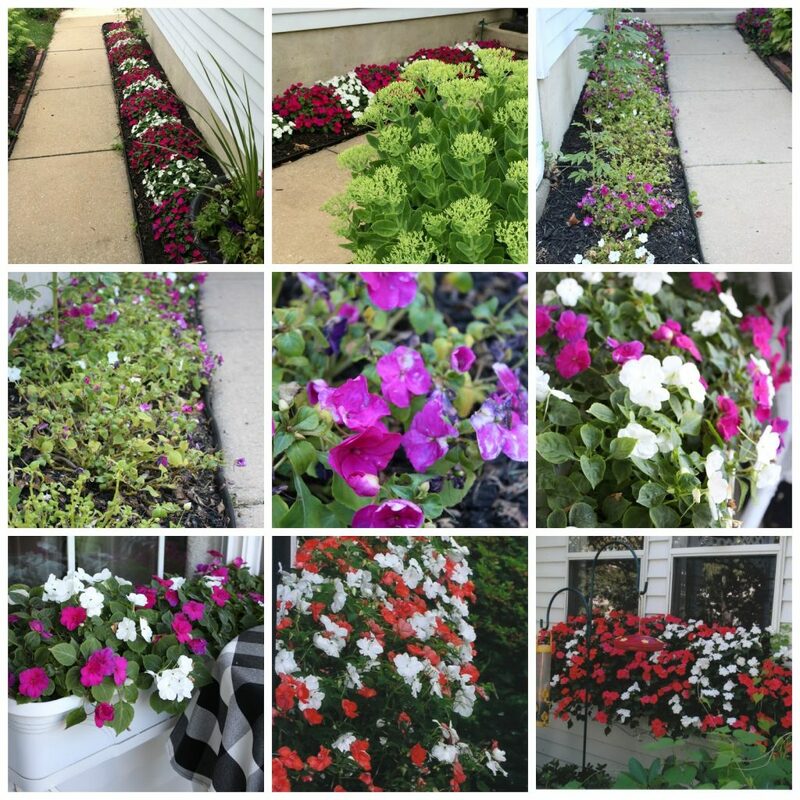 But the worse this year were the impatiens. I knew about the blight/Downey Mildew last year, but my heart longed once again for the abundant and overflowing window boxes of the past. I planted them and for six weeks they grew well and beautifully (first two photos). Then they quickly succumbed to this nasty fungus. They were my favorite to fill my window boxes and add color to shady places. You can see how pretty they looked but then, I watched as each plant shriveled and died. The window boxes are okay but not as full as the ones in the last two photos from a few years ago. I have read that the spores remain in the soil and therefore, I will not be able to grow impatiens there again. So, I need an alternative for next year. What stood out in your garden this season? Did you have any disappointments? I just found your blog. What a lovely centerpiece. I sure hope the dog gets better after the visit for the dental cleaning. Good information about keeping your pet's teeth clean. What beautiful views of your gardens. I know the frustration of the mildew on the impatience. 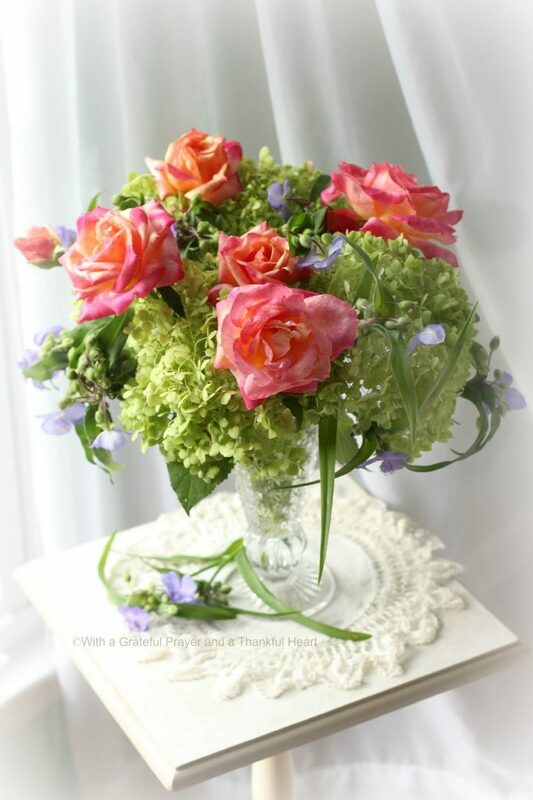 There really isn't anything as spectacular for a shady spot, but you might try Martha Washington geraniums. I've had good luck with them in the semi-shade. 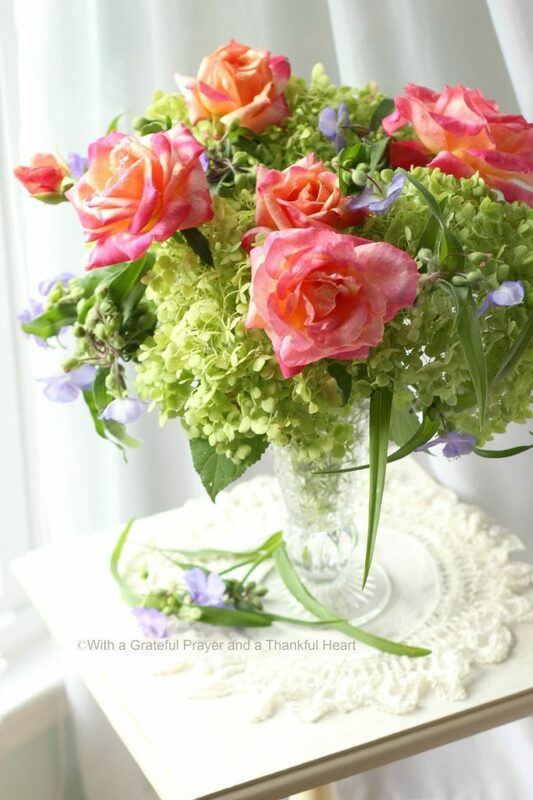 Add flower arranging to your list of talents. Beautiful!! 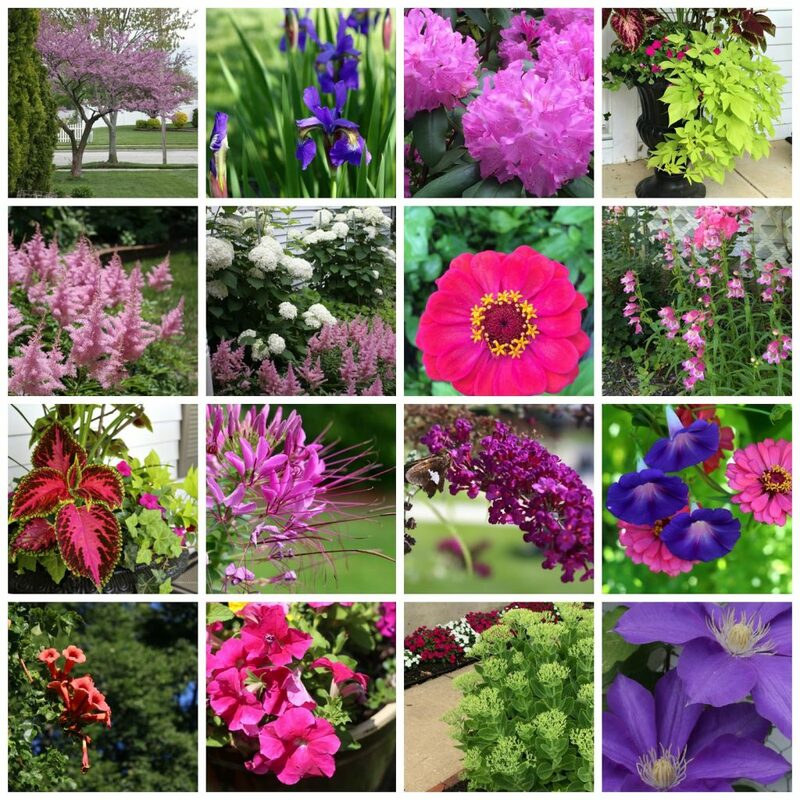 I adore all those purples….you certainly have a green thumb! HOPE you have a great week. You could try New Guinea impatiens. Do you like them? They are resistant to downy mildew. My MIL planted them this year and while not totally the same they are still lovely and great for a shady spot. 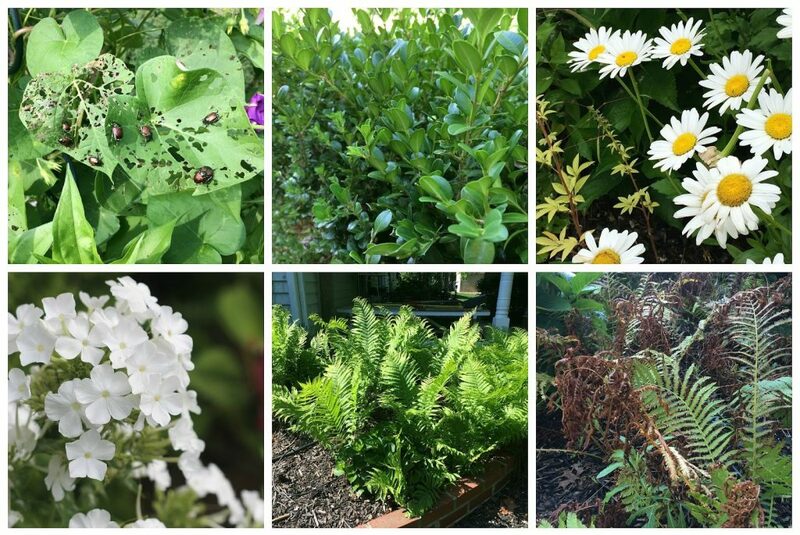 You gardens are always pretty even with its little pests.